از شهریور سال 97 یک فروشگاه اینترنتی درست کردم که محصولات سینمایی می فروشه. البته نه هر چیزی که همه جا پیدا بشه. در واقع اسم این سایت فروشگاه اینترنتی یادگاری های سینمایی و فراسینمایی سیناریومه، و طرح های سینمایی یی که خودم درست کردم رو روی تیشرت، تاپ، پولیور، هودی، پوستر، ماگ، تخته شاسی، و پیکسل عرضه می کنه. اگر واقعن خوره ی سینما هستی و دوست داری ارتباط نزدیک تری با فیلم و هنرمند مورد علاقه ت داشته باشی، سری به سیناریوم بزن! The electronic version of Issue #4, winter and spring 2014, is ready for you to download for free. It is available on “Free Issues” page alongside with all the previous 3 volumes that we have published. You can of course download and read this issue, and share it with others if you like to; but to reprint or use parts of any article published in this volume somewhere else, you need to ask the author of each article for permission. We hope that you will enjoy reading it. Please share with us your comments and views. Our 4th issue was first meant to be published in winter 2014, but due to some complications we could not meet the deadline, and we had to postpone the publication to spring. 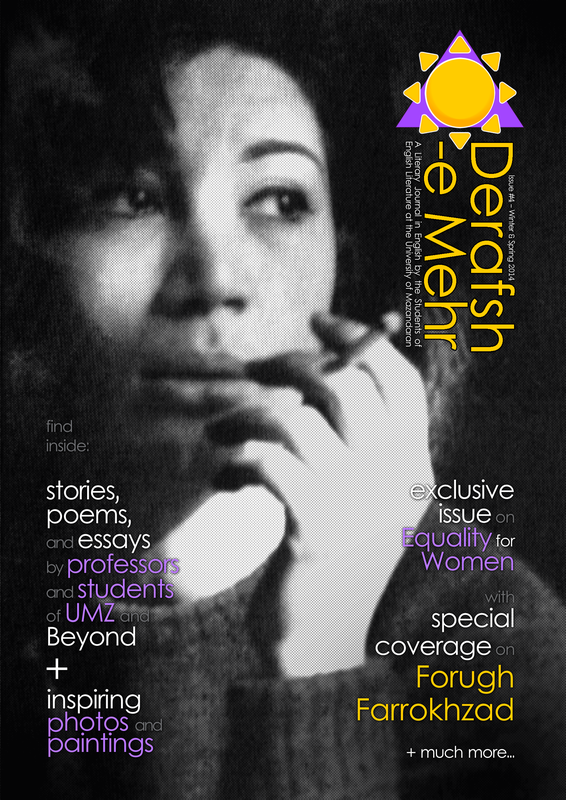 Then we tried to get the magazine out during the early days of spring, right after Nowruz vacations in Iran. Again we failed to make that, but we did not lose hope and finally we could prepare winter-spring 2014 issue by the final days of this educational semester. We are happy to announce that the 4th issue is going to be published on June 1st! Bellow you can see the picture which is going to be published on the front cover. 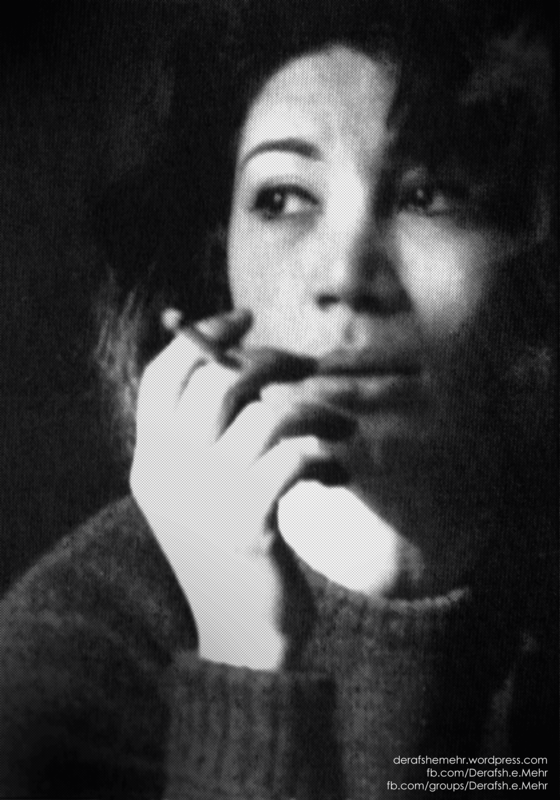 It is a picture of Forugh Farrokhzad, an Iranian poet. We didn’t have access to the original photo, so we were left with the the choice of scanning a washed out, smudged, and out of focus version of it in a book. We had a difficult time retouching it to make it presentable for the cover of the magazine. We are not professional graphic designers, but we did our best, and we hope that fans of Forugh Farrokhzad will like it. You can download it in high resolution by clicking on it. You are free to use it for non commercial purposes.